B.V.: We have just entered the New Year of 2019. Share with us your impressions about the previous year from an ecclesiastical and political aspect. Did you achieve what you have planned? Fr Partenij: First of all, may we all have a blessed New Year of 2019! God’s blessing and support are something which is essential for every noble deed that we intend to begin and finish. The Lord hath anointed me, says the Son of God, the Saviour of the world, to preach the acceptable year of the Lord. Therefore, only through Christ time gets its real sense and purpose. May his blessing always be upon us. During the past year, ecclesiastically speaking, there have been several important events, especially in regard to the issue of granting autocephaly. 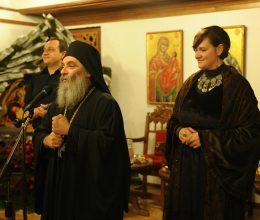 However, the most important event for us was the glorious celebration of the 1000-years jubilee of the Ohrid Archbishopric in the old St. Sophia Church in Ohrid. From a political point of view, 2018 was a very turbulent year, which was impossible not to affect us monks as well, being members of this state. May God be merciful to us in this year that comes and may He enlighten our leaders to work for the good of all the citizens of this small piece of land! As for the monastery, I am grateful to God for giving us the privilege to spend one more year in “His yards” and to be able to do something for the glory of His name. Certainly, we could have done more, but we implore His mercy and grace to let us serve Him and our neighbours with even greater zeal in future. B.V.: What gave you the greatest joy in the past year? Fr Partenij: My greatest joy has always been the spiritual progress of people, their growth in the faith of Christ and in the knowledge that only Christianity can bring real freedom to men, which means true and incessant joy. I am especially happy when the young people come to authentic contact with Christ and the Church and become its active members. This year, God gave me the privilege to see that many young people who came to the monastery recognized the beauty of the faith in Christ, the nobility of His love and the pure joy in Him. B.V.: And what made you sad? Fr Partenij: That which lately creates a great burden in my heart – the constant departure of young people from Macedonia. I, personally, have a lot of spiritual children who have abandoned their Fatherland in search for better existence, or at least, some basic conditions for normal life. A great deal of them came to see me for a blessing before they went away. Seeing that some of them really have nothing to live on here, with great pain in my soul I gave them my blessing, but at the same time I asked them to promise me – that when they manage, with God’s help, to provide the essential things for a decent life, they would return and invest their money in their own country, because this is where their roots are and their sanctuaries and the graves of their ancestors. That is what our predecessors used to do, and though they didn’t have their own free country and lived in restless and insecure times, still with greatest love they made sure they invested their earnings here. In fact, it is due to their nobility we have today these beautiful churches and monasteries we are so proud of. In this context I also hope that our political leaders would finally find the strength to provide decent conditions for life in this country, where there is enough space for everybody, if the economic policy is correctly carried out. Regarding the Church, I was very much hurt by the dispute and divisions in the Orthodoxy, which were accompanied by some rather worrying nationalistic statements of certain members of the high clergy. B.V.: How are things going with the process of granting our autocephaly? When do you think it will happen? Your predictions? Fr Partenij: I wouldn’t want to give predictions as to when our autocephaly would be recognized. What is important is that, with God’s help, things are moving in that direction. When MOC-OA asked for assistance from BOC (Bulgarian Orthodox Church) and their mediation for the solution of the half century-long unfair isolation, the Bulgarian Synod reacted immediately and created a commission. 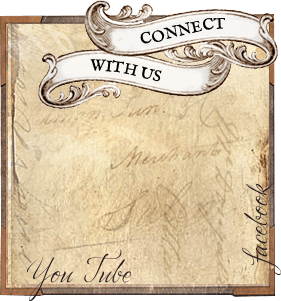 With this, our ecclesiastic issue finally became public and got an inter-Orthodox character. This was a sufficient cause for the Ecumenical Patriarch to use his centuries-old and by the Ecumenical Councils guaranteed right to be a judge in the inter-Orthodox disputes. 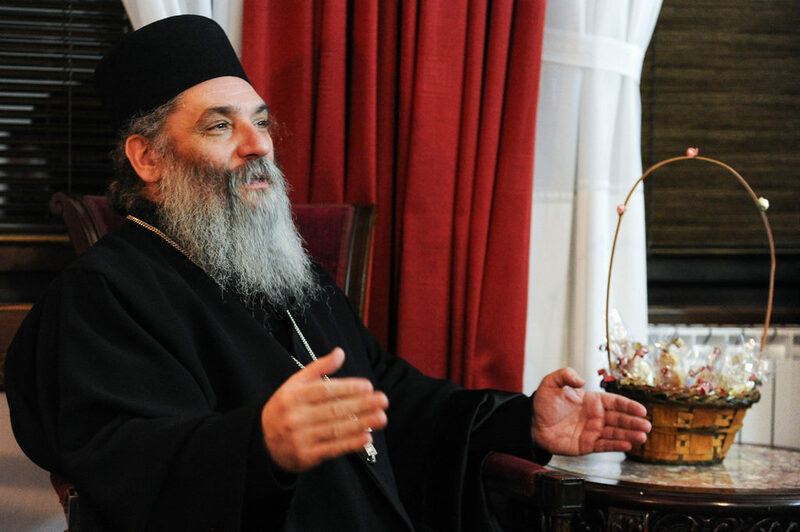 Soon, Phanar, the seat of the Great Christ’s Church, as the Ecumenical Patriarchate calls itself, released the good and awaited joyful news that the Patriarch has taken upon him the responsibility for our issue. This was followed by a correspondence of the Patriarch with the Church in Sophia, where he indisputably confirmed that our ecclesiastic issue is solely under his jurisdiction. He also had meetings with the political leaders in Greece, where he announced that he would act in the direction of restoring the canonical status of our Church, “according to the undisputable rights and historical and canonical responsibilities and privileges of the primary Ecumenical Patriarchate”. His All-Holiness, the Ecumenical Patriarch Mr. Mr. Bartholomew, is known to be a wise and divinely enlightened Primate, immensely respected all over the world as a peacemaker, who has contributed greatly for the protection of the unity in the Church and especially for the solving of many ecclesiastic issues. Here I would like to mention the last issue with the Church in Ukraine. This gives us hope that even regarding our Church he will fulfil his promise, thus healing one more serious wound on the body of Orthodoxy. Speaking of Ukraine, we should mention that it’s not by accident the Patriarch chose the name “Orthodox Church in Ukraine” instead of “Ukrainian Orthodox Church” which shows that he is fully determined to confront the heresy of ethnophyletism. 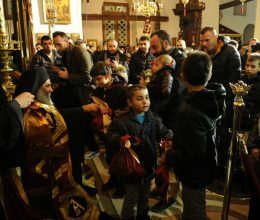 We hope that all the Local Churches would learn from this and follow his example, because the Local autocephalous Church does not belong to just one nation, but rather to all the Orthodox faithful under its jurisdiction, regardless of the nationality. Unfortunately, we can’t help but see that the SOC stubbornly holds its position that it should have under control all the territories of the former Yugoslavian state, where it used to preach Serbian nationalism instead of Christianity, something which, according to the spiritual laws, would inevitably get back and explode in their face. 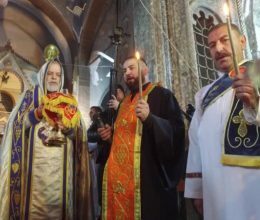 It has become evident that by using great wisdom and humbleness, the Patriarch is slowly restoring not just the centuries-neglected authority of the Ecumenical Patriarchate, but also the order in the Church, as predicted by the Council decisions. 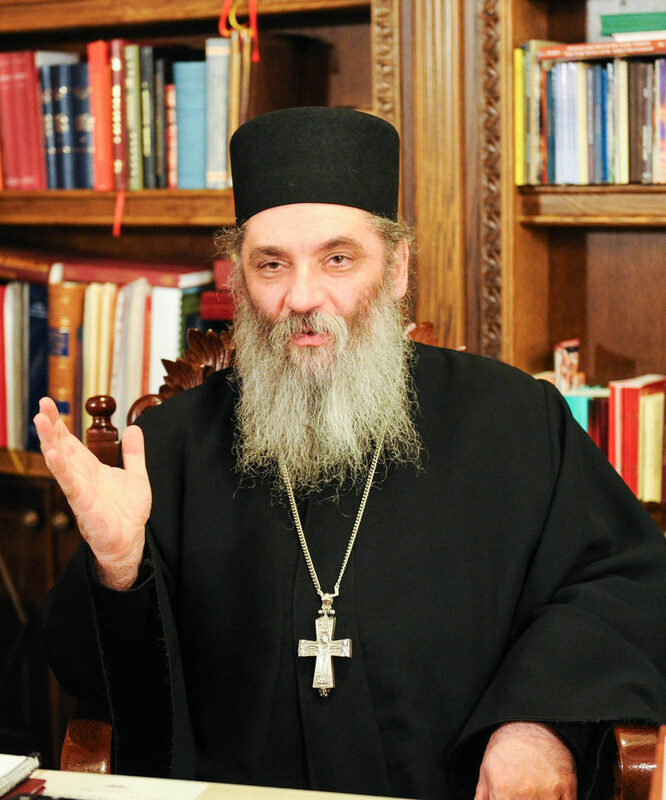 Exercising his right to convene councils, in 2016 he convened the Pan-Orthodox Council on Crete, where the undisputed right of the Ecumenical Patriarch to grant Tomos for autocephaly and decide in inter-Orthodox disputes, remained unchanged. Regretfully, those very Churches which posed so many conditions and negotiated their participation, were the ones which decided rudely and at the last minute not to attend the Council, even though all their conditions were met. Those same Churches now demand that a new Council is convened, because they are directly affected by the recent events. But a Council of such type can only be convened by the Ecumenical Patriarch, and we are aware that he wouldn’t make that step again, because when he decided to do so, instead of attendance – he got an offence. For those who don’t know, we should mention that the Bishop’s refusal to attend the Council convened by his Head or the Ecumenical Patriarch, is considered breaking of the Bishop’s vow, which is given at the very act of consecration, when the new Bishop promises to attend, even at the cost of his own life, every Council convened, at least through a representative, if not personally. 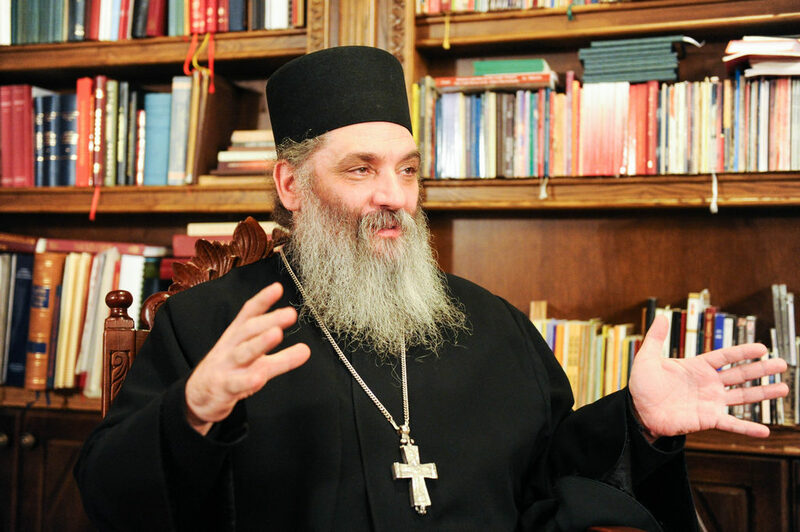 Nowadays we hear from certain ecclesiastic circles that for some the Ecumenical Patriarch is no longer the highest authority, which is a heavy blow to the entire Orthodoxy and a great scandal. I on the other hand firmly believe that the decisions of the Ecumenical Patriarchate regarding the autocephaly should be respected by everyone, otherwise the cohesion between the Local Orthodox Churches would be disturbed and, in that way, we would end up with numerous variations of Orthodoxy, which is definitely not in the spirit of the One, Holy, Catholic and Apostolic Church. Autocephaly doesn’t mean a literal independence and self-sufficiency, but rather a mutual dependency of the members in the one Body of Christ. B.V.: The next, year 2020, the Bigorski monastery St John the Baptist will celebrate two great jubilees: 1000 years since the foundation of the monastery and 25 years since the revival of the monastic brotherhood. Which activities do you plan to mark these jubilees with? What does the program for the ceremony contain? Fr Partenij: We are talking about an undoubtedly great and rare jubilee – 1000 years! Hardly any other institution could be privileged with such a long history. That is why there is an immediate need for a dignified program for the celebration of the jubilee. And not just that, but we also need the support of the Ministry of Culture, as well as of other state institutions, because the realization of such a program requires a significant sum of finances. The historical importance of the Bigorski monastery is unprecedented. In the 19-th century it was the centre of the Revival and all of our revivals were educated in this monastery, because Bigorski opened the first school ever in western Macedonia, where a lot of eminent teachers and activists were educated. Therefore, this forthcoming jubilee is of a great importance, not just ecclesiastically, but also seen from a national and state aspect, because it complements the present efforts for affirmation and promotion of our ecclesiastic and national continuity. Some of the projects require a more urgent realization, such as: the removal of the plaster, which was placed on the church walls in the 70’s of the past century and its replacement with a suitable lime plaster, which would facilitate fresco painting of the empty areas; also, a complete restoration of the fresco painting in the Great Refectory. This second project is not just prepared, but we have also managed to find a very skilful and internationally renowned painter who would paint a worthy reproduction of the work of the famous painters Michael and his son Daniel from the Epirus village Samarina. Back at that time they were engaged by the great patron of art with the sense for aesthetics, the Archimandrite Arsenij of Bigorski. We hope that the Ministry of Culture will be conscious enough of the cultural and historical importance of these projects and would provide the financial support for them. In the context of the 1000 years jubilee, we have also prepared several projects of our publishing section at the monastery. Thus, with God’s help, by the end of the next year, we intend to release a new musical cd with the festive Divine Service of the Decapitation of St. John the Baptist, performed by our monastic choir. Also, we have prepared several literary editions, among which the extensive monography called “The Icon of Bistra – protector of Orthodoxy”, by the doyen of Macedonian journalism Mr. Kiro Kiproski. 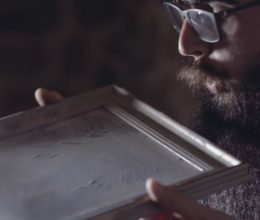 Namely, this professional journalist, as if some ancient chronicler, has recorded in several Macedonian newspapers and magazines, all the more significant events of the Bigorski Monastery in the past three decades. Soon, most of them will be collected in the aforementioned monography. B.V.: Where will you concentrate your efforts this year? Fr Partenij: Our monastic feat and effort would be concentrated, above all, on the Divine Services and the fit of prayer, as our basic monastic activity, but no less effort would be put on the evangelization of people. That means that we would work even harder, so that the evangelical message of love, joy and spiritual freedom could not just reach, but also imprint on the hearts of people. I pray that God sent us the grace needed to be successful at that. B.V.: Would the new monastic hospices in the monastery of Rajchica and in the skete “St. Cyril and Methodius” in Bitushe village be consecrated this year? Fr Partenij: The new monastery workshop hospice in Rajchica, which is a completely a gift by our God-loving sponsor Mrs. Elena Pandeva and her company “Elena Luka”, is already in its final stage and with God’s help we expect it to be consecrated this year and start serving the needs of the sisterhood. 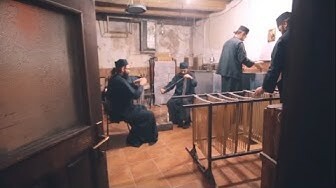 However, the skete dedicated to the Holy Brothers Cyril and Methodius in Bitushe village, which is also a wonderful sponsorship of the Dzhikoski family from Skopje, though in a progressive construction stage, still would have to wait for maybe one or two years, until the ceremonious act of consecration. As we have mentioned several times before, the main purpose of this skete would be the religious summer school for the youngest. So far these summer schools in Bigorski and Rajchica have been attended by more than 4000 children from all over Macedonia, who had the chance to get familiar with the basics of our salvational faith and Christian morality. This is one of the more significant missions of our monasteries and we would like to continue it in future as well. B.V.: Are you satisfied with the number of visitors, i.e. of local and foreign tourists in all of the four monasteries: Bigorski, St. George the Triumphant in the Debar village Rajchica, The monastery Prechista near Kichevo, and the St. George monastery in the Kichevo village Knezhino? 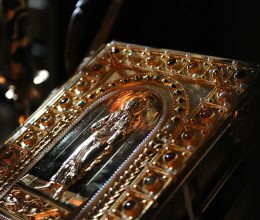 Fr Partenij: The number of visitors at the Bigorski and Rajcica monastery increases more and more with each year. Our monasteries are becoming more and more attractive to foreign tourists, but what makes us especially happy is the increased flow of faithful in the past years. Although these two monasteries are some of the most distant Christian sanctuaries in our country, still the established Typikon of regular Divine Services, the elevated Festive Services, the hospitality of the brothers and sisters attract the faithful from everywhere. Even the bad roads, especially the Trnica – Zhirovnica section, cannot prevent the faithful from coming in large numbers during the weekends and the big holydays. 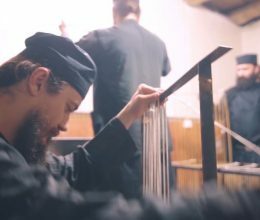 At the request and with the blessing of our most respected Bishop, the Metropolitan of Debar and Kichevo, Mr. Timothy, recently the monastic life was revived, or more precisely, continued in the two monasteries near Kichevo – Prechista and Knezhino. At Prechista, after the repose of the previous Abbes, Mother Agnija, six sisters from Rajcica continued their monastic fit here, introducing a Typikon of regular services. Thus, the already present cult for the sanctuary among the locals grew even bigger, which resulted with a greater number of visitors. In the same way, the arrival of sister Sophia to the Knezhino monastery, after the blessed repose of sister Doroteja, and the mission she started with the youngest ones, contributed for a much greater visitation of the monastery. B.V.: What kind of problems are you facing with and how do you intend to overcome them? Fr Partenij: The problems and temptations we face every day are really numerous but I on this occasion would rather not talk about them. I would only mention, though I don’t want to talk about finances, that we have a great insufficiency of them, especially during the winter period. You know, the monastery doesn’t have a strongly developed economy, so that it could finance itself and because of that, we depend largely on the benefactors i.e. the faithful who separate from their basic means, so that they could help us. Our gratitude towards them is huge! Seeing the sacrifice that they make, just so they could help the sanctuary, we can only glorify God that our nation has such true love for God. Though in future we hope, with God’s help, to develop our own economy, so that the monastery would not be so dependent on the donations and the good will of our visitors. B.V.: Your message to the Macedonian Orthodox nation in the new 2019 year? Fr Partenij: What other message could be more sublime, than the one our Saviour and Lord Jesus Christ addressed to His disciples: A new commandment I give unto you, that ye love one another; as I have loved you, that ye also love one another. By this shall all men know that ye are my disciples, if ye have love one to another. (John 13, 34-35) I think that love, devotion to one another, mutual understanding and tolerance are something we lack greatly in this time of ours. Instead of togetherness, we see divisions on different bases, mainly political. That is not good at all. The different opinion doesn’t necessarily have to mean hostility towards those who don’t think like us. It’s about time we overcome this childish immaturity and grow in the love for each other. Among other things, we should also learn to protect our national interests. Let’s take the diaspora for example. Look just how more united are other nations abroad, as compared to us. Why can’t we also be united for the common good, for the benefit of the Fatherland and of the nation? We have the best foundation for that – the Holy Gospel, which has for centuries been an inspiration of our forefathers for their self-sacrificing love. Monastery "St. John the Baptist - Bigorski"
The monastery was founded in the year of 1020 by the first Archibshop of Ohrid John of Debar. It is built in the honour of the Forerunner and Baptist of our Lord, Saint John, for whom the Lord Jesus Christ himself said that there is no greater among those born by women. © 2010-2019 Bigorski Monastery. All rights reserved.